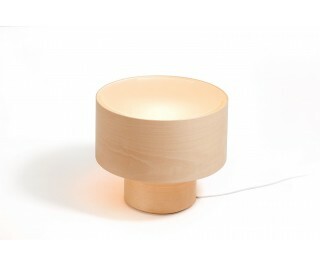 Round lamp made of bent beech. Its classic design has been revisited through the introduction of methacrylate that allows light to radiate both upwards and downwards. Available in natural beech finish or coloured stain. Supplied with European certification.